CAT is a national level MBA entrance exam. It is conducted every year by different IIMs on a rotational basis. The number of applications received for CAT has been increasing every year due to which it has stiff competition. The score of CAT is used not only by IIMs but by other top-notch management schools all over India as well. There are many things that CAT aspirants want to know right now, such as: Which IIM will conduct CAT? 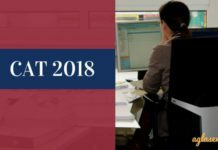 What is the exam date for CAT? What is CAT Eligibility? How should I prepare? All the answers are given on this page. Read below to get more details on CAT. Every year more than 02 lakh candidates apply for CAT. It is one of the most important exams for entrance in B-school programs. Mostly all the B-schools consider CAT scores for admission. 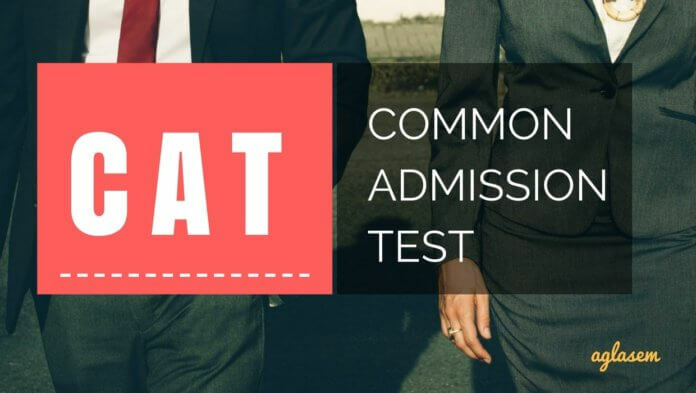 The official website of Common Admission Test has been iimcat.ac.in for the past four years. Which IIM will conduct CAT? Though any of the twenty IIMs can conduct CAT but there are higher chances of one of the older IIMs (Calcutta, Ahmedabad, Bangalore, Lucknow, Kozhikode, Indore) conducting it. Who is the Exam Conducting body for CAT? Out of the older IIMs, IIM Lucknow, IIM Indore, and IIM Ahmedabad have conducted the exam twice. Whereas, the IIM Bangalore, IIM Kozhikode, and IIM Calcutta have conducted the exam only once. The chances of IIM Bangalore and IIM Calcutta are higher for conducting CAT. What To Expect For CAT? The notification for CAT might be available on or before the last week of July. With new exam conducting body for CAT, there might be some changes in the exam. 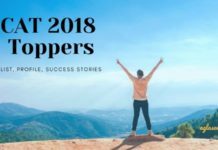 The exam pattern for CAT has not been changed much since 2015, but there are one or two changes that are always done by the new IIM. Eligibility criteria will be same as always. Let us be clear that the IIMs do not publish any “official syllabus” for this exam. However, this exam has been around for a long time, and exam mentors keep a close watch on the exam. They then prepare a syllabus for the purpose of giving shape to aspirants’, such as yours, preparation. The same (CAT syllabus) is given below. Number System: GCD, LCM Remainder Theorems etc. Progressions i.e. Arithmetic Progression (AP), Geometric Progression (GP), Harmonic Progressions (HP) etc. Geometry: Straight Lines, Polygons, Triangles, Circles, Ellipses etc. Functions i.e. Logarithms, Even & Odd, Representation etc. This section may have total 34 question out of which 7 may be Non-MCQs. Each question will be of 3 marks and for every wrong answer -1 will be done. Time duration for this section is 1 hour. This section in CAT Exam may also contain total of 34 question out of which 10 may be Non-MCQs. Marking scheme is same as that of quantitative ability. Data interpretation and logical reasoning combine as a single section. It may have 32 questions in total. Out of this, 8 may be Non-MCQs. Marking scheme will be same. CAT is a Computer Based Test (CBT) which will be conducted online. Also, the medium of the exam will be English only. Thus candidates need to ensure that they prepare for CAT accordingly. Quantitative Ability – This section of paper may have a total of 34 questions. Out of which 7 are Non-MCQs subjective type. Candidates must ensure that they try to answer all the Non-MCQs as it does not have any negative marking. Maximum marks for this section may be 102 and time duration to attempt is 60 minutes. Verbal Ability and Reading Comprehension – In this section of paper, applicants may get total of 34 questions. Out of which 10 may be Non-MCQs. Time duration to attempt this section is 60 minutes and total marks may be 102. Data Interpretation and Logical Reasoning – This is the 3rd section of CAT which may have 32 questions for candidates to attempt. Here total number of Non-MCQs (subjective type) may be 8. Maximum marks allotted for this section may be 96 and duration of time is 60 minutes. If no changes in CAT eligibility criteria are made then you can consider the below-mentioned criteria to check whether they are eligible or not. Candidate should have passed the Bachelor’s Degree or should be in final year of their Under Graduation. NRI and foreign candidates can also apply in the institutes with GMAT score. Every B-school along with IIMs have its own selection criteria and cut-off list. All the things will be taken into account while considering the candidate for the seat. His/her CAT score, UG percentage, 12th and 10th percentage, working experience, extracurricular activities will be considered. Depending on the selected candidates will then be called for group discussion and personal interview rounds also known as GDPI rounds. Based on all these things and cumulative score final merit list of each institute is prepared. Written Test– Candidate has to write on one or more topics a brief essay on the time duration of 15-45 minutes. Group Discussion– A round is held where 8-10 candidates are given a particular topic and they have to discuss it. This is to check the candidate’s group dynamics. Personal Interview– In this round candidate has to present himself/herself before the panel of 4-8 interviewers. This is a final round and is held to check the candidate’s educational qualification, hobbies, interests and work experience. First Time Appearing Candidate: If a candidate belongs to this class, he/ she can opt for full-time online course. In this course, faculty will assist the candidate with every aspect of examination and also be a guide and help him/her understand the concepts, applications and tricks too. Additionally, the candidate gets a lot of study material and mock test to prepare himself/ herself for CAT. Once a candidate is done with the syllabus completion analyze the missing parts and work on it to improve the chances of getting to the merit list of CAT. Re-attempting Candidate: If a candidate is unable to crack CAT 2017 in the first attempt, he/she must now analyze the weak spots and strong sections. Accordingly, a candidate can start taking sectional tests available online and workout on the weak sections to finally crack CAT. Also, such candidates can go for Mock Tests and solve CAT previous years papers too. Candidates appearing for CAT must remember that there is no tailor-made set pattern for CAT preparation. One can customize the preparation process according to his/her strengths, weaknesses, limitations and time. However, I would advise a candidate to be consistent while preparing for CAT. Candidate needs to at least spare 3-4 hours every day and prepare for CAT. It takes approximately 7-8 months of extensive preparation to crack CAT. Also, looking at the current time it’s a long journey ahead. If you are thinking that is it late to start preparing for CAT or what is the best time to prepare for CAT, I have an advice for you: It is never too late to begin what you always wanted to do. Set a target to complete the syllabus by the last week of August so that sufficient time for revision is left. Thereafter, start taking mock tests, reading comprehension and LRDI every day as these sections can only be mastered with regular practice. Registration for CAT is expected to open in the month of August. Applicants can fill in CAT application form once registration starts. Link to register for CAT will be provided here once it is available. Till date, there is no official notification related to Application Fee of CAT. But we can expect the fee depicted in the table below, on the basis of last year’s application fee. This fee is likely to change if IIM makes any changes in the fee structure for CAT Entrance Test. How to do CAT Registration? Candidates willing to register for CAT has to follow the steps given below and submit the application form on or before the last date. Step 1: Candidates need to visit the official site of CAT IIM. The official website is iimcat.ac.in. Step 2: Click on Register as New User. You can see this link only if the form is available. Step 3: After you register, you get user ID and password on email. Check it and now log In to the account. Step 4: Fill in the details in CAT Application Form. All details should be correct. Step 5: Upload the image of scanned photograph and signature. Step 6: Pay CAT Application Fee. Admit Card of CAT will be made available on the official site. Candidates who have successfully applied for CAT will be able to download the CAT Admit Card by logging into their account. Admit card for CAT will be available in the month of October. Candidates need to ensure that all the details provided on admit card is correct and in case of any discrepancy they need to immediately contact the concerned authority. Also, it is advisable to retain CAT Admit Card as it will be required on every step of CAT Entrance Test process. Link to download it will be provided below as soon as it is available. 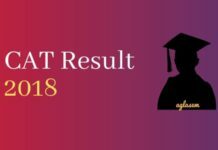 CAT Result will be announced in the month of January 2019. Candidates who have appeared for CAT will be able to see their results when it will be made available on the official site. Direct Link to download the CAT Result will be provided here. When you are filling CAT Application form, the candidate must make sure that he/she marks all the IIM colleges along with programs like PGDM, FABM and many others. After result declaration, IIM will send candidate an email inviting for the final round if he/she is eligible for the seat in that IIM and meets the shortlisting criteria. Applicants must regularly check their emails for updates. However, candidates may be required to fill application form once again stating academic qualifications and other important details. Finally, prepare for the interview round and go with confidence to nail it. In case the candidate does not receive the interview call letter he/she must start looking for other top business schools for admission. They can search for the ongoing admissions and apply for the same while declaring their CAT score. To know the list of best B-schools accepting CAT score, candidates can see the list given above. If candidates still have doubts or queries related to CAT, they can ask us in the comment section below. We will try to resolve all the queries. Applicants seeking assistance on CAT can ask queries here.